Note: Version 2.0 of the course launches March 24th. Purchase now & get the update free. Do they even turn out how you imagined? And creating videos alone is difficult enough without having to worry about whether or not the lighting looks right, the mic sounds okay, and if you are actually in focus. Whether you're too intimidated to make your first video or you're making them all the time, I'll share what I've learned the past few years making over a hundred videos. I believe that anyone can make great videos of themselves, it just takes patience, dedication, and the right amount of focused learning. And that's why I made this guide. Trust me, I've been there. I've spent countless hours watching endless tutorials to make my videos better and that is why I put this together. How to properly import, export, host, and archive your videos. There are also 9 interviews with bloggers, podcasters, authors, teachers, and freelancers that have made videos an integral part of their online businesses. People like Pat Flynn, Chris Ducker, and Amy Porterfield. In these interviews we discuss how many videos they've made that they'll never publish, how they progressed from screen recordings to webcams to DSLRs, and their tips for recording solo but having someone else edit. Caleb Wojcik has been making videos off and on for nearly a decade. In that time he has filmed the NHL, MLB, NCAA basketball & football, weddings, commercials, book trailers, and plenty of training videos for the web. Caleb is the creator of DIYVideoGuy.com and formerly co-founded of Fizzle.co and The Fizzle Show. Everything you need to start shooting better videos of yourself. Beyond the book, there are nearly 6 hours of video tutorials, case studies, and interviews. 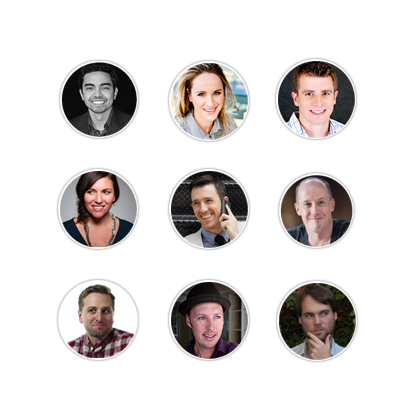 If you're serious about getting better at video, this package is for you. 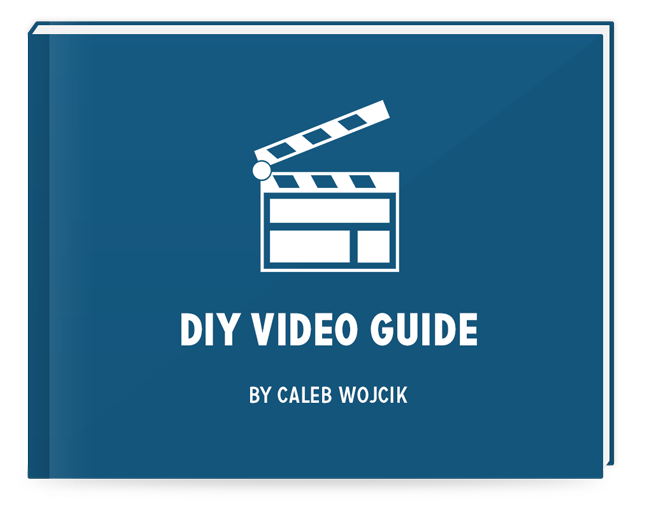 80+ pages of step-by-step walkthroughs of how to setup, shoot, and edit your videos. A frame by frame look on how I filmed and edited this book trailer for Pat Flynn. How exactly we got the bright white background, did the special effects, and more in our sales video. How to record and edit a talk you give live at a conference. How I put together my first sales video and what I've learned about them since then. A behind-the-scenes look at how I shot all the videos in this guide, specifically the tutorials and case studies. If you want to test the water, this package gives you the book and a handful of videos to kickstart your learning. If you're just getting started with video, getting just the guide will still give you a crash course on everything you need to learn to make better videos of yourself. It stands on its own. "Which package is best for me?" If you're serious about doing this whole video thing, the six hours of video tutorials, case studies, and interviews in the complete package will get you closer to the videos you want to create faster. The book by itself still covers a lot of the tricks, tactics, and gear suggestions though. Yes, for life. This is just version 1.0 of the guide, so any future updates to any of the packages are free to previous buyers. Upon purchase you'll download the PDF + HTML files with all of the videos embedded within them. The download is literally only about 30MB. Absolutely. If you get one of the lower packages you can jump up to the other packages when you're ready. Just contact me to do so. Other questions? Email to caleb@calebwojcik.com.